In the brink of all the excitement of the moment, this hope seemed more than reasonable. Then kicked in reality. How long can we really keep this new creation of ours going? Will it fall into the many traps set out for new volunteer youth projects? The only way to find out was by launching into it. And so began the roller-coaster ride. The pitfalls and challenges of a youth-led initiative were evident from the start: from lack of resources to the transient youth population of the NT. Overcoming each challenge took us to new heights, and taught us valuable lessons in youth leadership as well as life in general. We learnt about the value of goal-setting and having a road map to reach those goals. At the same time we realised that while planning is essential, plans are useless! We had to keep our plans flexible and open to change when something didn’t work. We learnt that true multiculturalism is achieved when it is practised rather than preached. Most importantly, we learnt never to underestimate what can be made possible when a group of committed young people with ideas for positive change unite together towards a common cause. There have been some steep learning curves, exciting twists and turns, some breathtaking views of the big picture, and of course some freakishly scary, scream-worthy spirals. In the end, every point of the journey has been worth it. It sure is difficult to believe that it has been 6 years since those humble beginnings… Reflecting back, it is even harder to fathom what a single collective idea brought up by a group of young Territorians at a small community gathering has led to. The special thing about MyNT, which I think is one of the key reasons for our sustained success, is that from the very start, young people have taken full ownership of it. 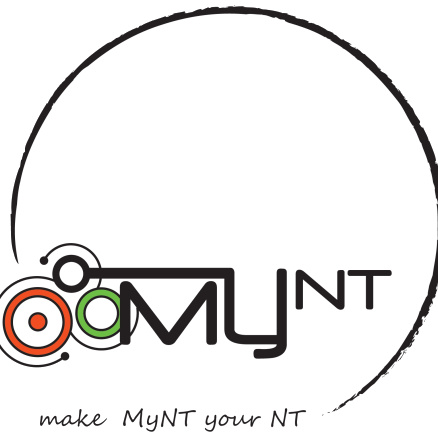 MyNT as a whole is a collective youth idea, and it is a credit to the young leaders who have come into the organisation at different points to make it theirs.